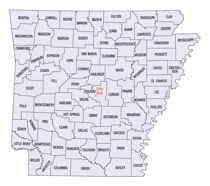 Nevada County is a county located in the state of Arkansas. Based on the 2010 census, the population was 8,997. The county seat is Prescott. Nevada county was formed on March 20, 1871, from parts of Hempstead, Ouachita and Columbia Counties. The county is named after the state of Nevada because of the perceived similarity between their physical shapes. Nevada is named for the State of Nevada due to the perceived similarity between their physical shapes. The name Nevada comes from the Spanish "Nevada", meaning "snow-covered" after the Sierra Nevada ("snow-covered mountains") mountain range. Created on March 20, 1871, from parts of Columbia, Hempstead and Ouachita counties, in which its name comes from the similarity of its shape to the state of Nevada, only the pronunciation is different. The county seat is Prescott. Nevada County's timber industry is its main economy source with poultry and outdoor sports contributing their share. Festivals celebrating the timber and poultry industries are held each year. 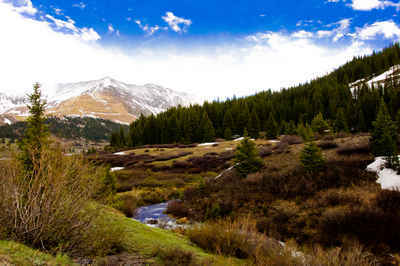 The county has an abundance of wildlife consisting of deer, squirrel, quail, dove, and turkey along with camping, which makes it poplar, not only with the local citizens but with visitors as well. White Oak Lake and White Oak State Park features excellent fishing, hiking trails, and sites for camping and picnicking. 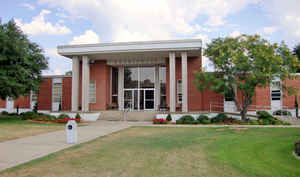 The present courthouse that was built in 1964 has gaslights, manufactured at a plant nearby, and several flower gardens ornament the lawn. A large clock from the old Bank of Prescott stands on a red brick base on the courthouse grounds near a white limestone war memorial. The Nevada County Depot Museum is located in Prescott in the old Missouri-Pacific train depot that is considered to be a classic example of early 20th century railroad architecture. The county is an alcohol prohibition or dry county. As reported by the Census Bureau, the county has a total area of 621 square miles (1,610 km2), of which 618 square miles (1,600 km2) is land and 2.8 square miles (7.3 km2) (0.5%) is water. The landscape of Nevada County is rolling hills, largely forested. The county is hemmed in on the north by the Little Missouri River, a branch of the Ouachita River, and drained by several tributaries of that stream and of Red River.